CHANDLER - SWINDON, THIS IS SWINDON. Henry Chandler started his business in 1895 with a bottled beer store at 40 Regent Street, Swindon. 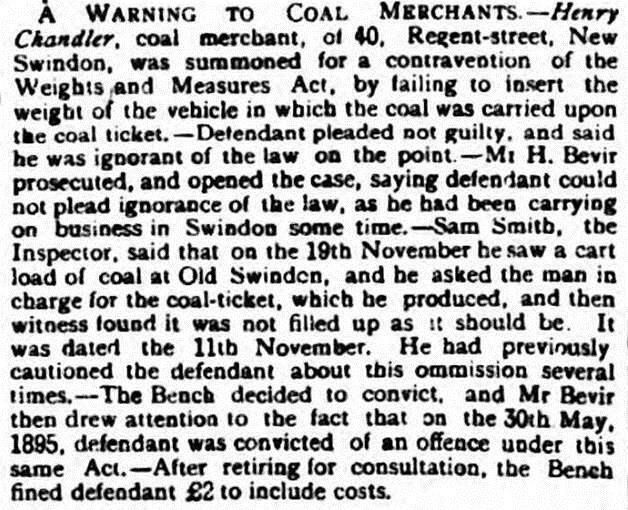 By the following year he is also listed as a coal merchant operating from the same premises. In 1898 he is listed as only a coal merchant so his mineral water / brewing business lasted a maximum of just three years. The above address was a cinema for many years but is today ironically a Weatherspoon's pub.